Leveraged gold ETFs like the Direxion Daily Jr Gld Mnrs Bull 3X ETF (NYSEArca: JNUG) and Direxion Daily Gold Miners Bull 3X ETF (NYSEArca: NUGT) sloughed off any possible negative effects of the escalating trade war between the United States and China. In less than 24 hours, China responded to the latest salvo of tariffs fired off by U.S. President Donald Trump as Beijing announced it will impose $60 billion worth of tariffs on U.S. goods beginning on Sept. 24. The new round of tariffs from China are said to affect a list of 5,207 products within a range of 5 to 10% as both the U.S. and China have already slapped each other with tariffs worth $50 billion total. 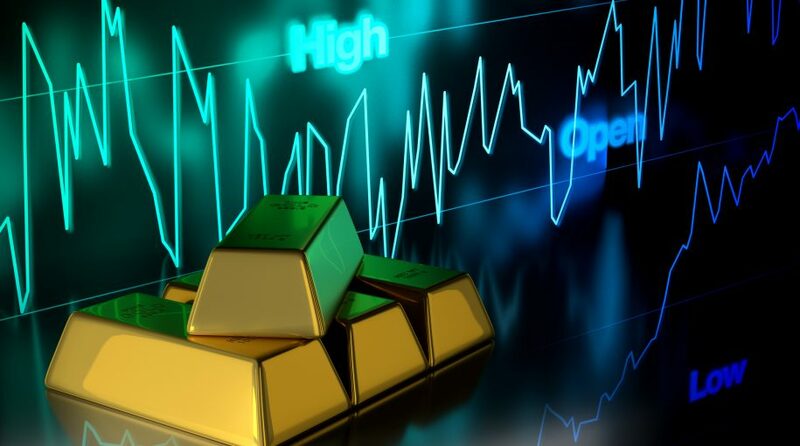 An hour before the close, JNUG posted a minor loss at 0.79% and NUGT was up 1.11%, while in yesterday’s trading session, both surged–JNUG up 7.37% and NUGT up 5.99%–as investors sought to gold for safe-haven assets with trade wars looming. Gold prices in general have been able to slough off any effects of the recent trade spats. After the markets closed yesterday, the Trump administration announced it would be moving forward with imposing a 10% tariff on $200 billion worth of Chinese goods that includes a step-up increase to 25% by the end of the year. The administration moved forward with the tariffs despite both economic superpowers in the midst of scheduled trade talks to ease tariff tensions.